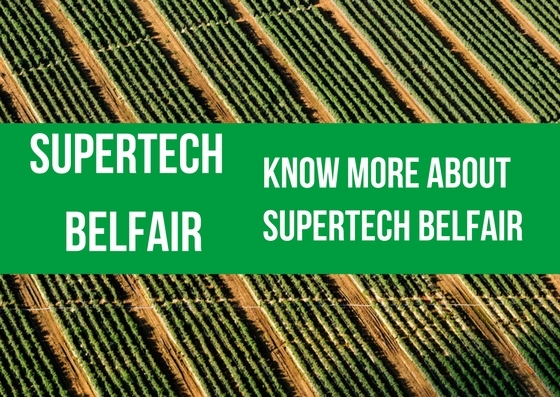 Supertech Belfair: Stress out of your lives, as you live in peace and comfort at these lavish homes! As one travels on NH-8 from Delhi towards Gurgaon, one cannot help but get impressed with the suave skyline and swanky looking buildings that the city offers. Most of the development was happening along NH-8 earlier and in that respect, the people had to move away from the main capital city of Delhi. After all, Gurgaon is a satellite town of New Delhi and this is a part of the modern NCR. Some years ago, there was felt a need to expand Gurgaon in other directions. Meanwhile, Delhi’s Manesar area had also fared up very well. Thus, the common areas were perfect for urban development. This is the reason why New Gurgaon came up connecting Gurgaon and Manesar. Along this new corridor, a number of well-planned sectors have come up and reputed builders are changing the landscape of the area. 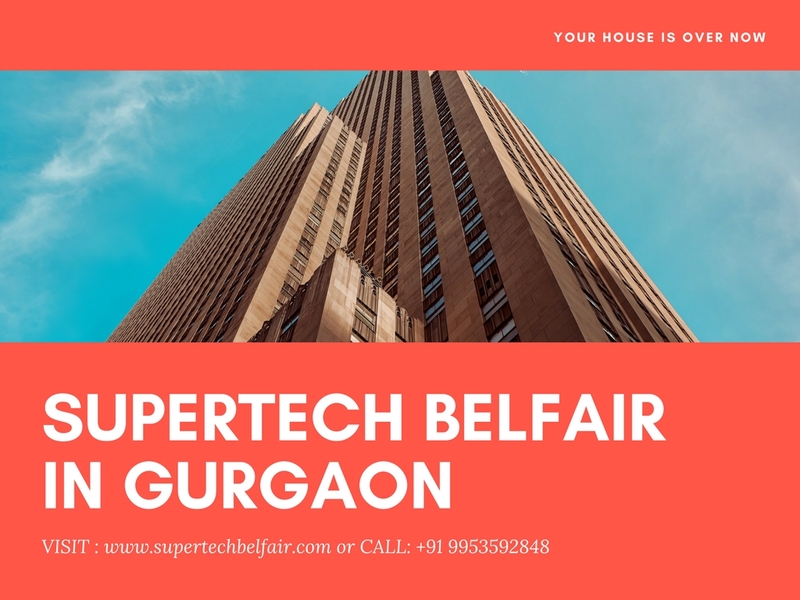 One project in the real estate residential segment that stands out here is the Supertech Belfair Gurgaon. The name and brand Supertech is the first reason why this project is going to be of high quality and will be the epitome of style and comfort. For, the developers have been wetting their hands in real-estate business since last 25 years and can thus boldly claim expertise and a good reputation. 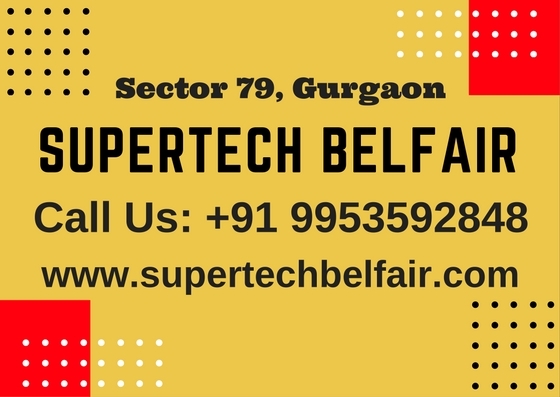 Supertech Belfair is located in Sector 79, Gurgaon, near the suave neighbours like Karma Lakelands. The other landmark on the NH-8 is the now legendary Mc-Donald’s outlet. The project is thus ensconced in an elite locality that automatically up’s the tag of the property, even before it is ready. 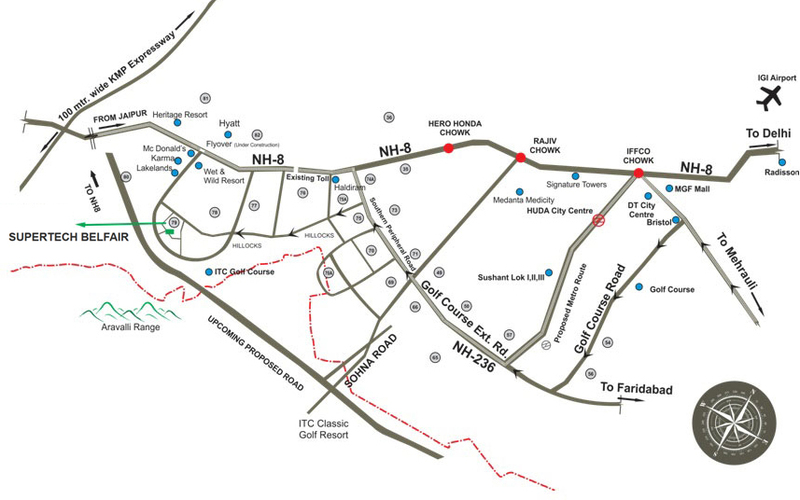 The project isnear Southern Peripheral Road (SPR) as well. Thus, accessibility to many areas of Gurgaon is not an issue here. Inside the campus are wonderfully crafted homes that lie behind an impressive entrance marked with security. The towers in Supertech Belfair Sector 79 are tall and have contemporary design. So, there is a right blend of practicality as well as grandeur that impresses and also performs high on comfort. The result is an endearing set of homes that are warm and inviting, and pleasing to the eye as well. There are homes in 1 and 2 BHK formats here, and each apartment is plush, with the right mix of privacy, space usage and comfort. There are many sizes and layout options to choose from and these include sizes in the range of 625 sq. ft. to 1020 sq. ft. These homes have high-end specifications and classy fittings and fixtures. Supertech Belfair price of the homesis quoted well and are in the affordable range from Rs. 26.71 lakhs to Rs. 43.60 lakhs. The price per sq. ft. is Rs. 4275/-. The booking amounts vary from Rs. 2 lakhs to Rs. 5 lakhs, depending upon the type of flat booked. Many payment plan options are also available. There are well planned features for relaxation, enjoyment, fitness and heath within this campus. This includes dedicated areas for sports, kids’ play area out in the open outdoors, and lots of gardens and open sit-outs. The campus is clean, uncluttered and very pleasant. So, it brings calmness to the mind. Fresh winds and natural sunlight permeates every corner of the campus, and also its each home.Thus, Supertech Belfair Gurgaon is airy. There are a number of facilities nearby like hospitals, educational centres, malls, multiplexes and even a 9-hole golf course. The lifestyle here is truly world-class. The people who will live here will smile at their choice of a perfect location, serene ambiance and convenient zone with dedicated car parking, power back-up, security and a lot of other facilities. Thanks For that Great Information , Recently i invested Super tech projects in Noida and expected this as a good investment option too.